I wrote JAMB twice - one for UME and the other for MPCE. For the UME I scored 285 over 400 and for the MPCE 189 over 300. Ok let me speak the language you understand. Until 2010 when I wrote the two exams, this exams wasn’t called the UTME that you grew up to know. We wrote two in a year then. The first was University Matriculation Examination (UME) usually around May. This was written to pursue university admission. Then, the second, Polytechnic Certified Examination MPCE was written to pursue polytechnic and colleges of education admissions. UME grading was over 400 while PCE 300. This was used through to 2010 when JAMB finally merged the two exams and formed UTME. You can imagine what it would be like scoring 285 in UTME today or 189 in an exam of 300 marks. This I was able to achieve, not because of my brilliancy but because I was smart. My smartness was not because I read just like everybody. No! When I prepared for JAMB, I didn’t read, I studied. That’s where most students get it wrong today. They can’t differentiate between studying and reading. If I ask you, “do you know chalk”? Because you know it truly. You have been using that since you’re in nursery class. But I ask you, what is chalk made of? How does chalk taste? About how many holes can be found in a chalk? What is the weight of an average chalk? I know you’re puzzled already. You see, that’s the difference between studying and reading. Most students read because that’s what they have been doing. But if you must pass JAMB like me or any other candidates giving 270 or more, you must study to know so much about what you’re reading instead having the general knowledge. I use this approach mostly in my JAMB preparation. 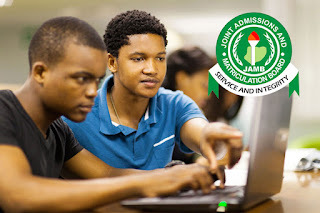 So how does it apply to studying JAMB past question packs/series? Before we go further, what’s a JAMB series? Past question packs compiled from the past years exams set for admission seekers in all JAMB subjects. In order to perform beyond average in UTME, you must buy 4 JAMB packs for your subjects. For instance, if you’re writing English, Physics, Chemistry and Biology – you must have the packs for the four subjects. Some packs contain questions for about 20 years or 15. Will you need that mush to read for JAMB? Not really but get it anyway. Now, let’s get into how to Study them to get higher score in UTME. Do selective reading: I can’t understand why you will want to read 20 years questions of each pack. Why? You don’t need that much. If you must cover the 20 years pack in your four subjects, you’ve read 80 years together. That’s ridiculous. So what do you do instead? Select a few years to cover. I recommend 7 years in each. Our focus is to study these past questions such that if repeated by JAMB, you can be proud of remembering everything. Is that possible? Let’s see. First, I have to let you know a little secret, JAMB doesn’t have new questions. They repeat questions from the past. They may not bring the whole questions, but they do repeat a few here and a few there. Open a page of that and rule for the number of questions to answer. That drawing is for the 100 English questions. For other subjects, you’ll draw 50 each. Now start reading and answering your questions. When you’re done, go to the back of your pack and check for the corresponding answers. After marking, grade it. Now, what’s your score over 100? Whatever you get is not our concern here. We want to study not reading - remember? Now go and check each question – find out why you got the one you scored and why you missed the one you messed up with. You’ll be slow here of course. You have to check one question after the others. There were, of course. some questions that you must be such you’d got but after marking you missed. You need to know why you messed up there. If need be, take a textbook and restudy the topic under which the question was set to be sure of your position on each answer. Also, there will be questions you’re doubting or you just guessed when answering but after making you got. You know what? That’s gambling! It hardly works in the real exams. So check them too, be sure you agree with the answers to those questions and commit them to heart. After that, take a moment off your reading. You can just stroll around for a few minutes or handle some home chores. Then return to the same questions. This is how you will know if you’re just reading or studying. After this second reading, what’s your score? Do you get them all or you miss some? See, if you get it all, the war is not over. If you missed some, you need to check yourself now. If you missed anything again after 15 minutes break, how will you get any after one week? This is why most students keep reading and there won’t be anything to show for it when JAMB releases their results. This is how you will cover all your selected 7 years and for all the four subjects. Remember I said even if you got everything after the 15 minutes break Fight back Attempt, the war was not over. This was what I meant. If you select 7 years for your 4 subjects, in all, you’ve covered 28 years. You should achieve this in a week. Few days before your exams, you’re going for the final battle which is 3rd reading of the same questions. I believe by now, if you’ve not committed your reading to heart, you could have forgotten all the answers in a week. So you must redo it the 3rd and last time. Draw your marking table again and start over. This time, make sure you work within the right scope of time you’re expecting in the exams – 2 hours or and a half. Do it not like reading but like writing a live exams. Now mark yourself and see how improved you’ve got in a week. If you still missed beyond your expectation or mine, kindly start over. If you’re like me, I will at least reproduce 90 out of 100. I’ve said earlier that JAMB doesn’t have new questions. They will repeat a few of what you’ve read using this method. You should remember everything and put it down exactly as you’ve done it before.